TRAX Laser Safety Curtains provide industry leading protection from potentially harmful high temperature and stray beams. Click the button bellow to request a quote or call us for more information. Why choose TRAX as laser safety curtain supplier? TRAX offers wide variety of simple attachment hardware to create custom solution specific to your requirement. 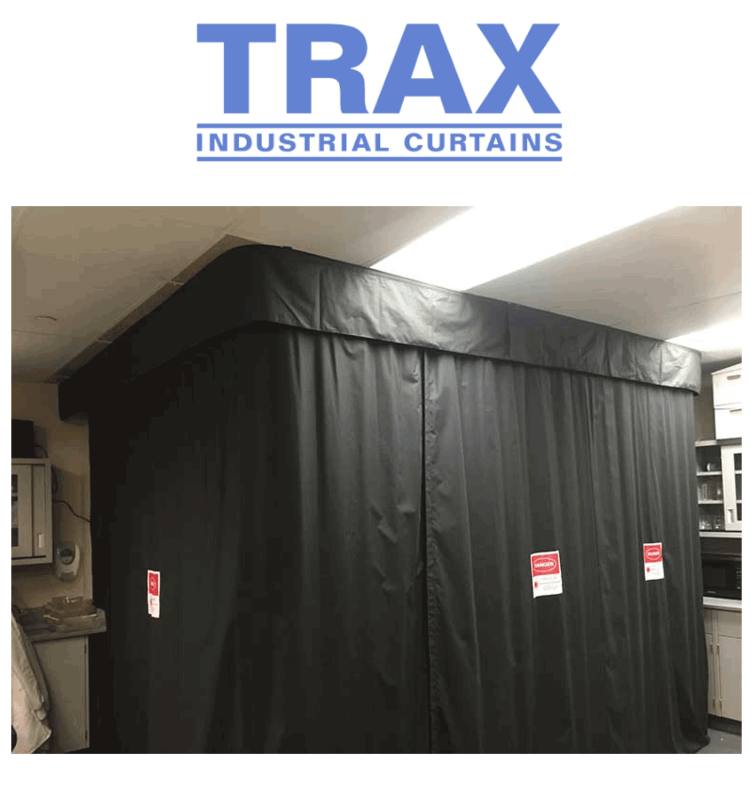 TRAX laser barriers and laser curtains are constructed from heavy-duty double layer fabrics in either light gray or black in both standard duty and heavy-duty designs. All laser barrier materials are ASTM E84 Class 1 Flame Spread and Smoke Density rated to meet all quality standards. Laser barrier curtains from TRAX Industrial Products are specifically designed to perform where a true laser barrier is required. They are available with any of our attachment methods and are available in standard and heavy duty formats as well as in clean room grade. In business since 1978, TRAX uses materials of the highest quality and can provide test data in regards to anti static properties and flame spread capabilities for all of our flexible vinyl materials. 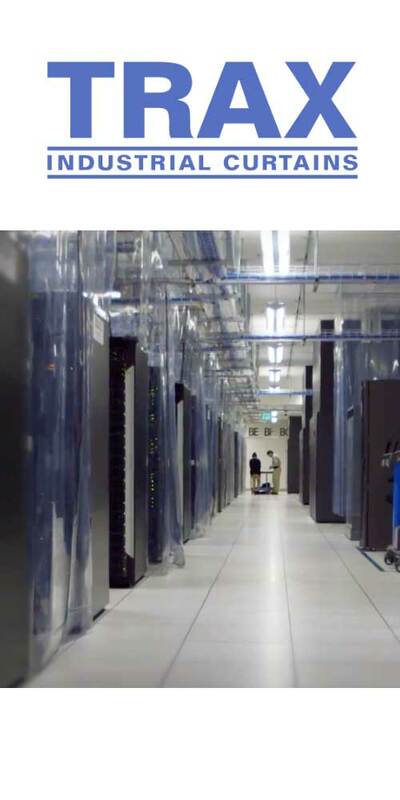 Specializing in data center containment, clean room curtains, laser barriers, curtain walls, strip doors, airport draft curtains, TRAX takes pride in fabricating custom products to fit the specific needs of each and every application presented to us by our customers. Using UPS as our standard carrier, all orders are received no more than five days after they are shipped, at a low negotiated price. TRAX uses materials of the highest quality and can provide test data in regards to anti static properties and flame spread capabilities for all of our flexible vinyl materials. TRAX offers industry leading negotiable low cost solutions customisable to meet the requirements of any facility. TRAX is proud to serve customers like MIT, NASA, Boeing, Siemens, Ball Aerospace and many more all over the world. Contact us to request a quote today. or call us at 1-800-248-8729 for more information.